The tutorial to Reset counter for Epson Stylus Photo RX700 using software resetter. There are two software resetter can be used to reset this printer model that is “Adjustment Program Epson Stylus Photo RX700” and SSC Service Utility ver 4.30. 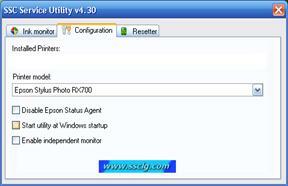 But I recommend to use SSC software to reset the printer Epson RX700 because this software is free. Epson Stylus Photo RX700 all-in-one photo center printer and its designed to take your photos further with professional level performance. 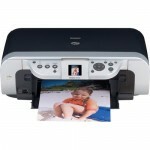 This Epson printer model compatible with Windows and Macintosh operating system. 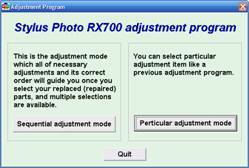 Download Adjustment Program for Epson RX700 and extrac the adjustment program. Then goto extracded folder and the run by clicking AdjProg.exe. to use this software no need date setting must be alter in the PC. 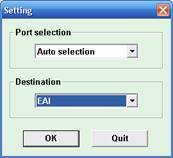 Select port selection and destination and equal to the printer. Select Consumables maintenance counter. Then press “OK” or double-click to execute it. Click the Initialize button to clear the all of maintenance counter to “zero”. Once you press [Initialize] button, you can see its completion message, so that press OK. To see the current or initialized counter click Read button. 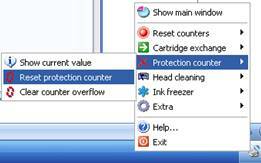 Download and install SSCServe software then select printer model and equal to the printer and then close the setting. 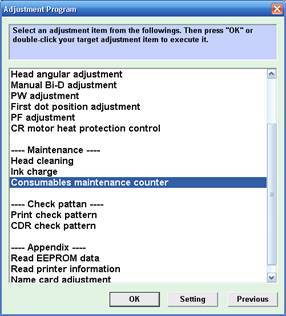 Open SSC menu by right clicking mouse on SSC icon in the systray, choose protection counter and the choose reset protection counter. Related to "Reset counter Epson Stylus Photo RX700 Using Software Resetter"
Should this work on a Mac? I have Mac OS X 10.5.8.
please reupload Adjustment Program Epson RX700.